Yesterday we went to the Penn Atlantic Nursery Trade Show. Lots of interesting things, some need to be saved for the next issue of the magazine. But there was this one thing, that I just have to share. 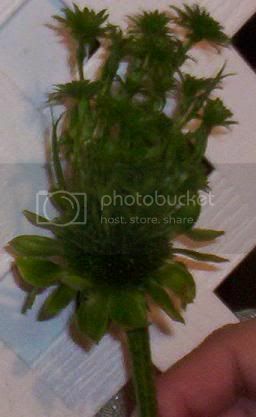 One of the standholders showed us a blossom from an echinacea plant in their garden. The picture is not a good one, but you can see that there is the central cone, from which the smaller florets spring. The people who showed us this flower had a laptop with them, and showed us a picture of the original bloom of this flower. The petals were pure, clear green!!! Cool, huh? 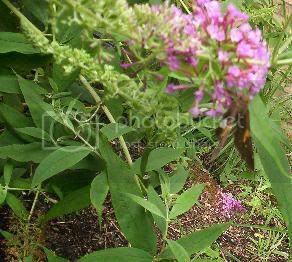 On one of the butterfly bushes, there was this one orange and brown butterfly amidst all the little white ones. Not a great picture, but they move around a lot, and I'm still learning :-). It seems that there should be a lot more butterflies out there this time of year. Guess I'll keep looking. Yesterday was a bit... "different". The windows here were being replaced (or so I thought), and so plans were made to vacate the premises. As it turns out, this will actually occur on Monday, so living with all the furniture in the center of the rooms will be an extended adventure. In the morning, I went to Maryanne's house and fondled her exquisite lampwork beads for a while. I still can't quite get over how gorgeous her stuff is. I'm allergic to metal, so jewelry has always been iffy for me - silver is okay sometimes, but the rest... So now I'm lusting after some of the stuff she's playing with that involves materials other than metal to string them upon. In any case, the gardens are overflowing and everything smells so good! Walking past the stargazer lilies was scentsational! These babies are taller than me, and there is a whole grove of them. It is intoxicating. Around noon we headed out to talk to Nancy Reppert at Sweet Remembrances Tea Room in Mechanicsburg (www.SweetRemembrancesTeaRoom.com) about a project we've been working on, and her sister Susanna at The Rosemary House (www.TheRosemaryHouse.com) next door. I love the feel of Sweet Remembrances. The decor is so artfully done. I've attended functions there, and Nancy is a fabulous cook, as well. After talking, we toured the gardens out back. They are so amazing that the sweltering heat barely bothered me! Fairly small in size, the gardens include so many species and elements. 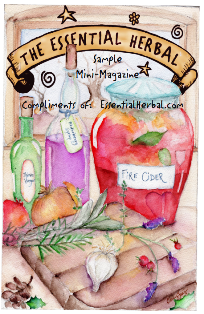 There is a tiny pond, an arch formed by dwarf apple trees that leads to the children's play area (as this garden is the backyard for Susanna's three little weeds), pathways, arbors, and small spaces to sit and rest amongst the herbs. We couldn't leave without doing a little shopping. Above, Maryanne and Susanna catch up on the news. The shop has the best scone mixes in the world and some gardening gloves (Mud Gloves) that I've become addicted to. 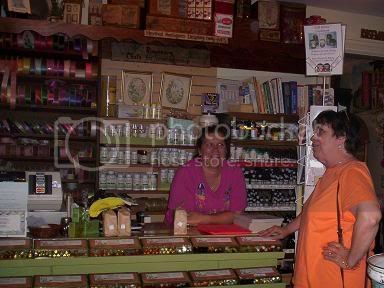 Of course there are the teas, dip mixes, books, oils, herbs, etc., etc that make this a fun place to shop. We just don't get there often enough! Updated July 28, 2010 - Need more zucchini recipes? Check out the links at the bottom of the post. It's a zucchini blog party! Plantain (Plantago major), seen below, is common everywhere. 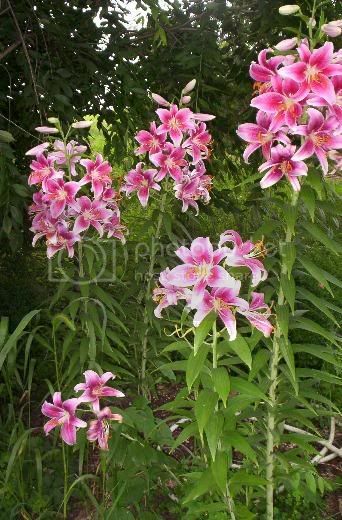 The only requirement seems to be sunlight, and it will grow in any soil type. The name comes from the Latin plantago, meaning "sole of the foot" because the leaves are shaped somewhat like footprints. Another nickname is "white man's footprint" since it followed European settlers across America. There are nearly 200 species of Plantago to be found in the world. All are edible, and there are no poisonous species. As a wildcrafting enthusiast, this plant was one of the first to get that fire started for me. Once you "know" it, the plant appears everywhere you look. In that respect, it is like chickweed, and they are both so versatile and useful. The first time we really used plantain, a toddler in a stroller had been stung in the palm of her hand, having made a fist around a bee landing there. We picked plantain and crushed it up while her mother removed the stinger. The mash was placed in her hand, and the screaming and tears stopped immediately. Later, it was equally effective the time my husband mowed over a nest of ground bees wearing only baggy shorts. 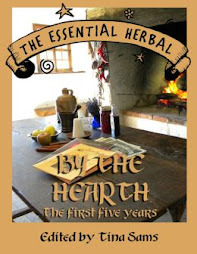 Medicinally, the leaves or a decoction of the leaves can be used for all sorts of things - burns, eczema, boils, inflammation of the eyes, insect stings and bites, muscle sprains and strains, leg pains and aching feet, poison ivy or nettle rash, and hemorrhoids. 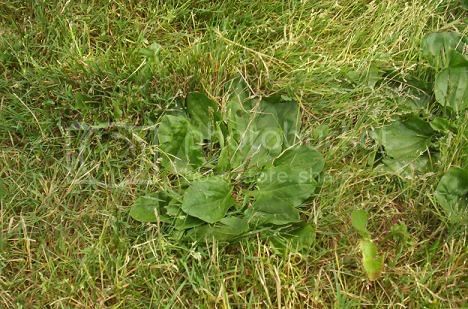 The young leaves can be added to salads, made into soup, added to stirfry, or generally used like spinach. The older leaves can become bitter. The seeds are also valuable as a laxative. They are high in B vitamins, and can be taken in capsule form or made into a seed gel that can be kept refrigerated up to 2 weeks. To make the plantain seed gel, gather a large quantity from the yard. You'll find them easily... they're the little stalks waving about 4-6 inches above the grass, just before you decide its time to mow :-). Put them in water to cover, and boil hard for 25 minutes. Run through the food processor until fine. Some berries or mint may be added for flavor. Use 1 Tbsp. of the gel to 1 cup warm water. This is a very healing drink for intestinal problems, as the gel is considered to soothe issues like irritable bowel, colitis, Crohn's, and aid in healing the damaged tissues. Pressed weeds and flowers - These need to be flattened and mostly dry, but not brittle. You can use brittle stuff, but need to be much more careful. Gather what you'll want to use and stick it into old phone books for about a week. Queen Anne's Lace is STUPENDOUS!!! Crafting Paints - the kind used for stenciling. Begin by painting the dried weed on the side that will touch the fabric. Not too much, or it will ooze. Place the weed face down, cover with paper towel (or newspaper) and roll the brayer over it to be sure that all areas have been covered. Remove carefully and admire your work. The same weed can be used several times if this is done carefully. My all time favorite shirt, I made for my little Molly. It said "Growing Like a Weed" and had all sorts of herbs and plants in many different colors on a little white T. Beside each one, I'd carefully written the name of the plant using black paint with a very small brush, although one could most likely use a permanent market. It was awesome. Teenaged girls liked one we did that said "Wild Child", and was covered with all sorts of weeds. Some favorite plants to use? Sage is lovely, along with bleeding hearts, tarragon (looks like seaweed! ), lavender spikes, thyme, dill -although it requires tweezers - monarda, ginkgo leaves, maple seeds, oh it goes on, and on..... Certainly the best ones have veins, texture, and/or deeper sorts of structure. Wispier plants like southernwood are very pretty, while violet leaves would wind up being a large shape with very little detail � no texture. To make the piece colorfast, it must be ironed using a pressing cloth and then placed in a hot clothes dryer for 1 hour. Most of the paints have specific instructions on the labels. This procedure is great fun and can be used on scarves, dresses, jackets, FURNITURE!! !, walls, or anyplace your imagination takes you " and judging by our mail".that could be pretty much anywhere. Well, now that I've written about it, there are all sorts of projects floating in my head. 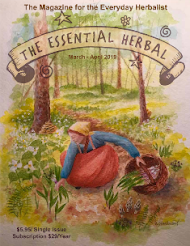 Guess I�ll wander out and see what kinds of weeds and plants I can get started on pressing. There seems to be an abundance of white yarrow and chicory, and the thyme is blooming in the garden. They will be great, along with poke blossom spikes, lavender (of course!!! ), and bergamot. Melilot, catnip, mugwort, burdock, toadflax, chamomile, St. John's wort are all within a few feet of the backdoor. 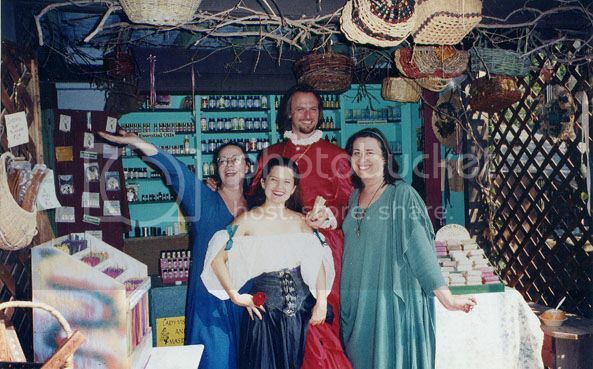 We were looking through some old pictures today and found a couple from our old Renaissance Faire days, back in the beginning of the "Twisted Sisters" days. I'm in blue below, and sister Maryanne is in green. Our friends Laura and Robbie had come from NYC for the day to play. Then we found the following moldie/oldie. The way we got the "title" Twisted Sisters was from when the Faire held a series of nights for the Halloween season. 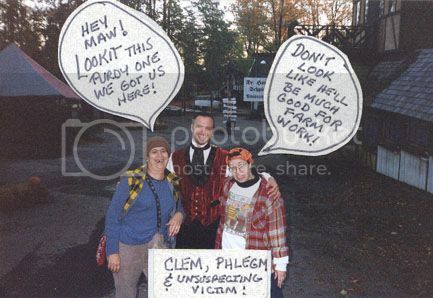 We became Clem and Phlegm Bickle, and we had a ton of fun with makeup and tooth black. The following year there was a character named Apothecaria Appalachia, but she just didn't "get" it. When she visited our shop, we suggested that perhaps we were kin, but she was clueless. Now I know these pictures have nothing to do with herbs, and it is a huge indulgence for me to post them, but Dang!!! I just love 'em. Besides, although I took a few plant pictures today, they just didn't do it for me. 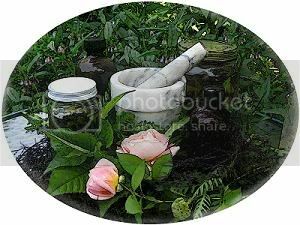 In my garden, I grow an assortment of plants from which I harvest parts all season long for their medicinal virtues. (When I say that I pick the flowers, what I really mean is the flower along with stem and leaves attached.) When the Echinacea purpurea is blooming, I pick flowers and put them a jar filled with 70% ethanol (usually diluted Everclear). When the yarrow blooms, some of those are added. 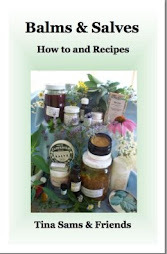 Of course, the Beebalm flowers are desired, and they add a pretty color, as well as antiviral properties. Anise hyssop flowers go in when they arrive and lemon balm leaves are gathered as I pass them on the way to the elderberry tree. 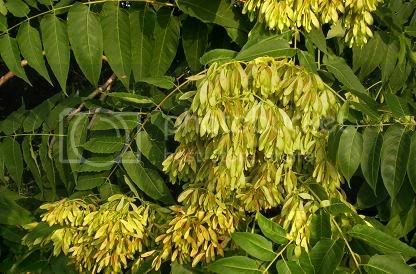 This plant would normally grow as a shrub, but I've pruned it to grow as a tree and it has a beautiful canopy that shades the horse's water trough now. When the berries are plump and juicy, I gather a handful and add them to the jar. Then I put the jar on the shelf to steep for a few months, and by the time winter and the accompanying sniffles arrive, I'm ready! We use it at the first sign of an illness, no matter what type, and the symptoms are gone in short order. If we didn't respond soon enough and a full-blown illness erupts, I'll add some Usnea tincture to the flower tincture to ramp up the power. 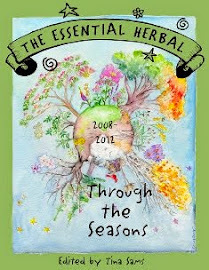 Roxann Phillips, www.AncientEarthWisdom.com, offers herbwalks, expeditions and workshops from her property located in the Arkansas Boston Mountains. Yesterday was the official start of my summer hiatus. It may last longer (hope, hope, hope), but that's the current certainty. It was time to work seriously on the magazine. The piles of paperwork and bits and pieces of notes and memos were just screaming my name... so here goes! Over the weekend, I finished typing in a cookbook that a friend put together, and yesterday I started wading through my desk. During the day, I got a request for a gift certificate, and was able to quickly add that option to the web site. It was so nice to be able to answer questions and requests on the spot - rather than arriving home to an avalanche and working til 8 or so, getting everything finished up to begin another day. I don't know where this will lead, or whether it will last, but my daughter is happy to have me with her during the day, and it feels right. Coming home from the post office this evening, I decided to park the car and walk a little ways into the meadow. Staying out on the edge of the wilderness because this area is tick heaven, these plants were right within range. The milkweed blossoms were looking a little bedraggled, so I didn't post that shot, but if you can get close and take a breath of that blossom, the smell is divine. This is a tiny branch of a sumac tree. The rest of the tree is gloriously festooned with waves of seed pods. The pods are varying shades of yellowish green, with a blush of pink in the center. From a distance, the tree looks like there are fireworks going off on her branches. Below is the stinging nettle in full bloom. The patch of nettles is full and dense. The innocent looking strands of flowers beneath the leaves are tempting to touch... like strands of delicate beads, but not since my childhood! 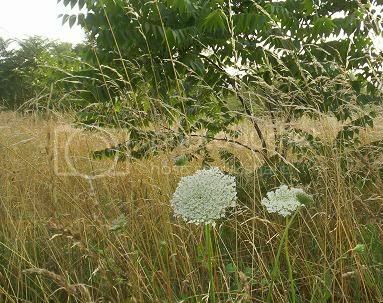 Queen Anne's lace stands regally amidst the dry grasses where Evening Primrose will stand in another month or so. I still can't resist pressing this beauty each year. Fuller's Teasel! This was everywhere. 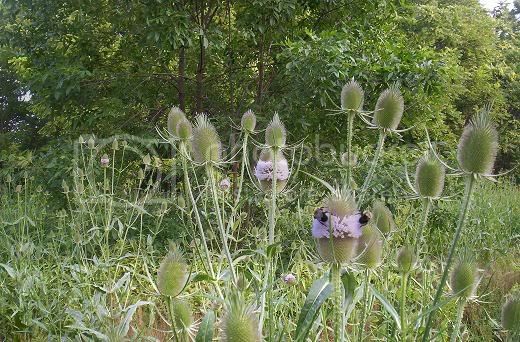 The tiny pink flowers embracing the spiny spike are such a soft dusty color. They look so beautiful with the grayish green of the rest of the plant. Such an unusual plant, and gorgeous in bloom - and dried. Apparently the flowers are very attractive to bees, too. There was lots of toad wort, thistles, and tiny daisy like wildflowers, along with the small aster like weeds and grasses. I love this time of year. Everywhere you look there is something beautiful to see. Just don't drive behind me :-). We finally got some rain here last week, after weeks without. 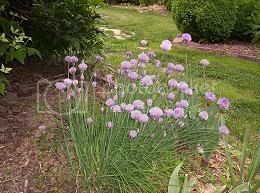 The chives below are just begging to become part of a delicately flavored vinegar, or a delicious omelet. Pass the baked potatoes!!! Just that quickly, everything got lush and gorgeous. I'd been pretty focused on work lately, and so it was a huge surprise to see the wonders that had popped up and bloomed while I wasn't looking. Around here, the mimosa trees are just incredible. They seem to be a deeper shade of pink than usual, but perhaps that's just my memory. It seems that each year I am again surprised by the beauty around me. There are wild hollyhocks springing up along roadsides in many shades of pink and scarlet. Even the sweet yellow clover and the goat's rue is brighter than usual. The woods where we merrily hiked in early spring are now so grown that it would be difficult to get to the stream. I've been staking out some stands of plants and hope to get pictures of them tomorrow. Stay tuned!